1) Could really relate to the characters including the Rev Jacobs character who is struggling with his faith and obsession with the afterlife. The protagonist Jamie Morton who is always tries to do the right thing even when things seem hopeless. 2) King uses the story an opportunity to share his love for being in a rock n roll band, ie the Rock Bottom Remainders. 3) Finally I love how the story is so uncompromising in its horror yet somehow shows the potential of man/woman to do the right thing just because its the write thing to do. As far as the narrator, David Morse at first I thought I would be put off by his slower subtle almost melancholy voice until I realized how well it fits into the overall scope of the story. Great Job David! 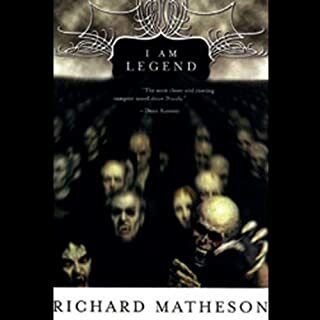 Richard Matheson is one of my favorite authors. Whether he is writing about the fear of never finding love (Somewhere In Time), grief (What Dreams May Come) or believing you are the last survivor of a plague as is the case in this story, he is able to convey the fear and terror that comes from isolation better then any author I have read. He does this here in spades. I really feel for Robert Neville as he is dealing with isolation and at the same time trying to survive being stocked nightly by vampires. 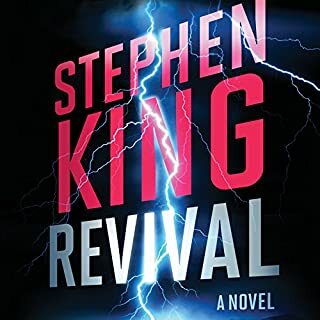 George Romero, Stephen King and others site this novel as a major inspiration and you can tell. Listen, enjoy and then listen again. Robertson Dean is also a great narrator, perfectly capturing the characters pathos. 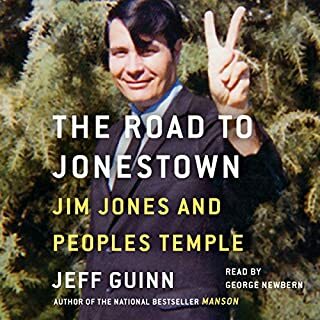 If you could sum up Road to Jonestown in three words, what would they be? Ideals poisoned by paranoia. Ok 4 words, not 3! What was one of the most memorable moments of Road to Jonestown? The most memorable moment was the horrific final moments in Jonestown when so many died of cyanide poising in that massive murder/suicide. Was made even more horrific when the author quotes from a doctor who reveals what an agonizing way cyanide is to end ones life involving minutes of painful suffocation. No one particular character. George Newbern rather then acting out characters lends a solid pleasant even keeled voice though out which worked very well for this type of non-fiction work. Gave a very engaging performance which was understated and even handed in just the right way for me. I've been fascinated for years about Jim Jones and The Peoples Temple. Was Jim Jones a good man gone bad, or crazy from very early in life? Why would so many follow him and not heed earlier warning signs? My opinion after reading this book is that he really wanted to do good and believed in and practiced diversity and socialism. However, due to a troubled youth and drug abuse his inner demons involving paranoia and fear of abandonment and need for absolute control destroyed whatever ideals he fought for. At the same time as the author lays out, many of his followers would justify the bad things they experienced as being worth it for the greater good until it was too late and many were hostages in Jonestown. One thing I still don't understand is why Jim Jones hoarded so much money he gained and started stockpiling it away instead of using it for his people and socialistic aims while in Jonestown? Maybe he wanted to prove he could make Jonestown self sufficient and his ego could not admit that he needed to dip into his vast savings to make his dream work? Maybe it was part of his cruelty making his people live and work in such meager conditions? Don't know.As you can see, this book gave me a lot to think about and consider and I would recommend it for those who want a comprehensive look at the life of Jim Jones. After reading this book, I've gained a new found respect for the followers of Jim Jones and think it is easy to say we could never get caught up in something like this. As started before , people will put up/accept much if they feel they are sacrificing for the greater good. The best point the author made for me was that while Jim Jones has been compared to Hitler and Manson, the big difference is the followers of Jim Jones were striving for greatness not evil. Bless them all living and dead!!!! Detailed Engaging Listen on All Things Disneyland! 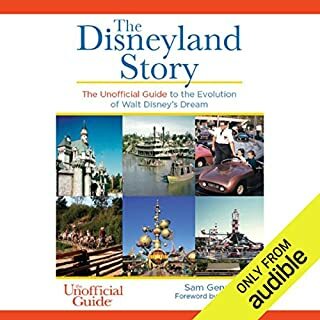 Would you consider the audio edition of The Disneyland Story to be better than the print version? I bought both the book and the audio book and equally enjoyed both so I can't say I liked one over the other. Was very useful being able to switch from one to the other especially when my eyes were tired! :D I will say that I thought that James Patrick Cronin did a good job reading the book. Feel some of the comments deriding his reading are overly harsh/picky. Yes it would have been helpful if he paused a second or two before each section but I found that easy to get used to. On the plus side and most important found his voice, pace, tone excellent. What was one of the most memorable moments of The Disneyland Story? My earliest memories are from the 1970's as a kid so I enjoyed most when the book covered the earliest rides I remember being excited about then: "Adventure Thru Inner Space", "Space Mountain", "Pirates of the Caribbean" "Haunted Mansion" Also enjoyed reading all about the rides no longer at the park I feel nostalgic about: "People Mover", "America Sings" and "Adventure Thru Inner Space"-- That one counts as both my favorite ride as a youth and one I miss the most. Wish they would bring it back! So many it's hard to pick one! If I have to pick one I would say the parts of the book that talk about how "Space Mountain" came to be. Never knew that Walt Disney came up with the idea but they simply did not have the technology to build the ride until several years after his death. When Walt Disney said goodbye to an employee in such a way that he knew Walt knew he would doe soon. I was hoping for a book that gave me a detailed chronological accounting of how the park came to be, how the rides came to be, what worked, what didn't, the changes over the years, etc and this book lived up to my expectations! Did not want the book to end and was sad it did. Want more, hopefully a sequel will come out in perhaps several years so we can pick up where it left off! 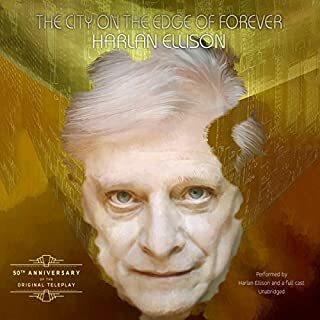 If you could sum up The City on the Edge of Forever in three words, what would they be? What other book might you compare The City on the Edge of Forever to and why? None. Harlan Ellison is one of a kind. When Spock at the end tells Kirk that "No woman was ever loved as much Jim, because no woman was ever offered the universe for love." Better then the original aired episode, buy your ticket now! Ellison reading his own delightfully candid introduction. The full cast giving life to the Award Winning Teleplay. Mostly it's just having this treasure on audio.